They're chemicals that fight a process in your cells called oxidation. The main source is plant-based foods, but your body makes some, too. You're probably familiar with vitamins C and E, beta-carotene, and the minerals selenium and manganese. Plant nutrients and chemicals like flavonoids, phenols, polyphenols, and phytoestrogens are also antioxidants. Each one works differently. Together they form a team that fights free radicals. These chemicals cause the oxidation process that damages your cells and the genetic material inside them. Your body makes free radicals as it processes food, sunlight, and toxins like smoke, pollution, and alcohol. 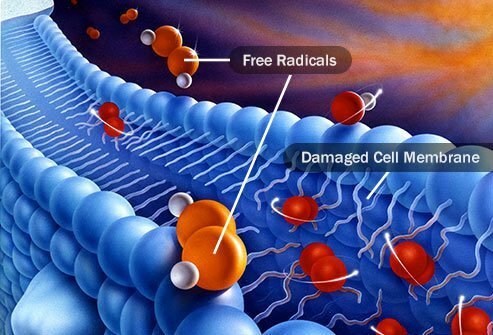 Antioxidants either stop free radicals before they form or break them down so they're harmless. This antioxidant is stored in fat (you may hear it called fat-soluble). It fights off free radicals that attack fats in your cell walls. It may also stop LDL cholesterol from turning into a form that could harden your arteries (your doctor may call it oxidized) and lead to cardiovascular disease. 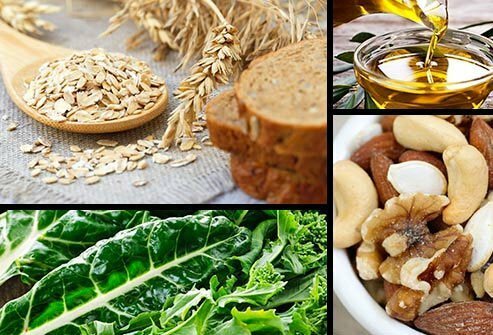 Where to get it: Whole grains, vegetable oils (olive, sunflower, canola), nuts, and green leafy vegetables. 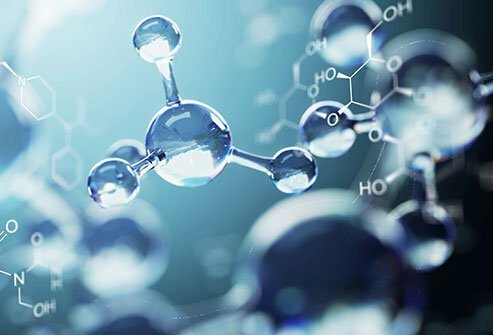 Also known as ascorbic acid, it's stored in water (you may hear it called water-soluble). It may help prevent cancers of the stomach, lung, and digestive system. 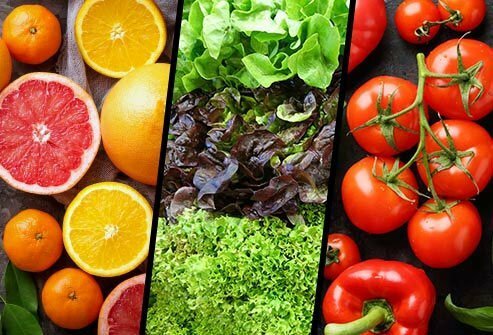 Where to get it: Green vegetables, tomatoes, and citrus fruits like oranges and grapefruits. Choose raw foods because cooking may destroy it. It's a fat-soluble carotenoid (those are the yellow, orange, and red pigments in vegetables and fruits). Your body turns it into retinol, which helps you see. It may be dangerous when taken in supplement form, so it's best when it comes from food. 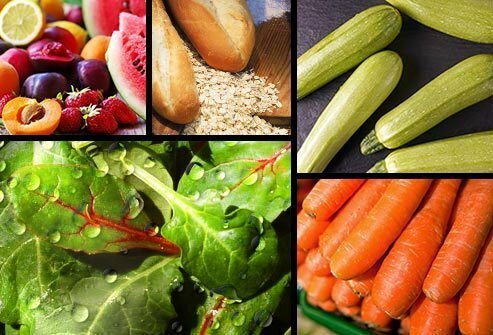 Where to get it: Fruits, grains, carrots, squash, spinach, and other green vegetables. This carotenoid may help protect against prostate, lung, and breast cancer. 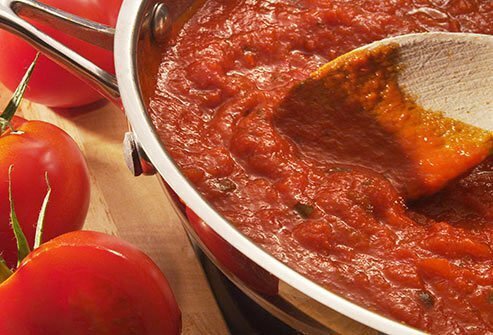 Where to get it: Cooked and processed tomatoes are a good and common source: Think marinara sauce on your pasta. Heating the tomatoes makes it easier for your body to absorb the lycopene. Add a bit of fat like olive oil to further help your body use this nutrient. Found in soil and water, this mineral helps your thyroid work. Research suggests it can help protect against cancer, especially of the lung, colon, and prostate. It's easy to get too much if you take it as a supplement. That can lead to digestive problems, hair and nail loss, and even cirrhosis of the liver. 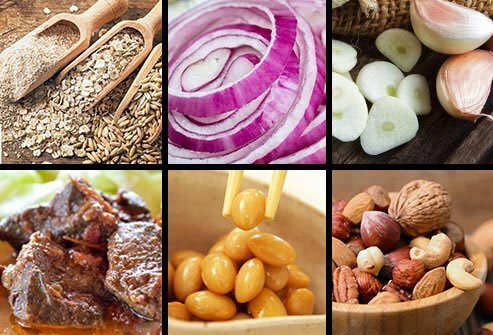 Where to get it: Grains, onions, garlic, nuts, soybeans, seafood, meat, and liver. Scientists know about more than 4,000 of these antioxidants found in fruits and veggies. Every plant contains a different flavonoid combination. They may help protect against heart disease, cancer, arthritis, aging, cataracts, memory loss, stroke, inflammation, and infection. 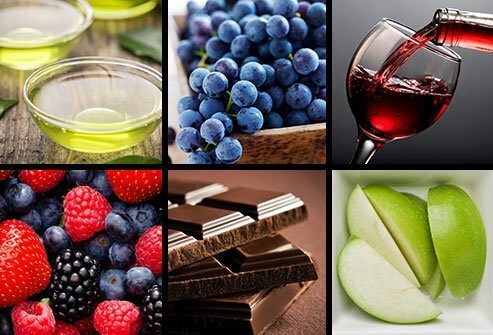 Where to get them: Green tea, grapes, red wine, apples, chocolate, and berries. Omega-3s help protect against heart disease, stroke, arthritis, cataracts, and cancer. Omega-6s help improve eczema, psoriasis, and osteoporosis. 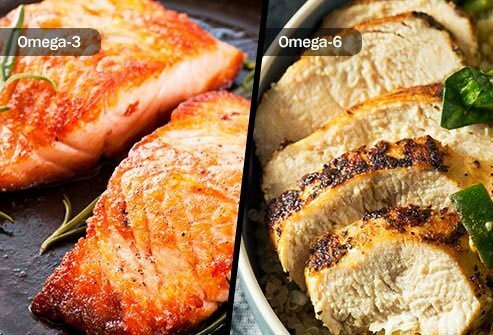 Your body can't make these essential fatty acids, which help stop inflammation. And most Americans get far more omega 6 in their diet and far less omega 3 than they need. Eating less omega 6 and more omega 3 is a recommended goal for many. Just keep in mind that a balanced ratio is four parts omega-6 to 1 part omega 3. There are supplements, but it's better when these fatty acids come from food. Can't You Just Take a Pill? Nope. 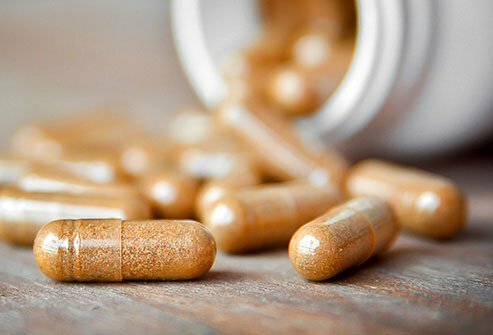 Long-term studies on tens of thousands of people show that antioxidants in pill form don't lower your odds of bad health. People who took them got heart disease, cancer, and cataracts at the same rate as those who didn't. One exception is age-related macular degeneration. Antioxidant supplements slowed progress a little for some people in late stages of this eye disease. 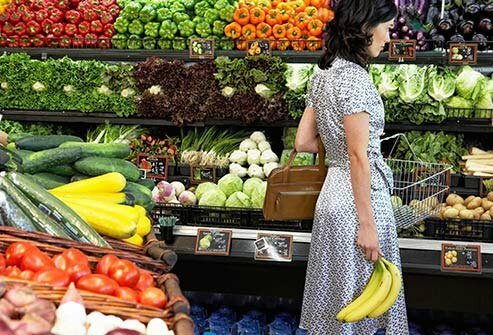 Are Fruits and Veggies the Secret? Sort of. Vegetables and fruits have lots of antioxidants. And it's true that if you eat more of them, you're less likely to get any number of diseases. What isn't clear is why. It may be the antioxidants, or it might be other chemicals in those foods. It could even be that people who eat them make healthier lifestyle choices overall. Scientists continue to explore the issue. It's hard to get too many antioxidants from the food you eat. That isn't the case, however, for those in supplement form. Too much beta-carotene may raise your lung cancer risk if you smoke. Too much vitamin E could make you more likely to get prostate cancer or have a stroke. These products can also change the way certain medicines work. 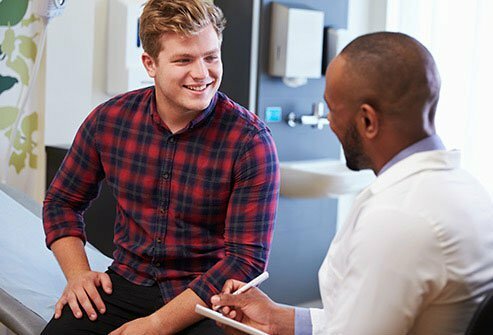 Tell your doctor about any you take to make sure they don't get in the way of your medication. Harvard School of Public Health: "Antioxidants: Beyond the Hype." RSC Advances: "Free radicals, natural antioxidants, and their reaction mechanisms." Oregon State University Linus Pauling Institute: "Carotenoids," "Flavonoids," "Vitamin E."
American Chemical Society: "Phenolic Compounds in Food." Oxidative Medicine and Cellular Longevity: "Plant polyphenols as dietary antioxidants in human health and disease." FamilyDoctor.org: "Antioxidants: What You Need to Know." Pharmacognosy Review: "Free radicals, antioxidants and functional foods: Impact on human health." International Journal of Biomedical Science: "Free Radicals, Antioxidants in Disease and Health." National Foundation For Cancer Research. National Center for Complementary and Integrative Health: "Antioxidants: In Depth."